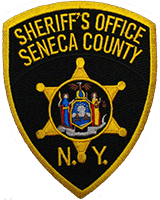 The Seneca County Sheriff’s Office reports on Oct 26 2018 at about 1240pm they charged Joshua A Jones age 25 of 62 Green St. Seneca Falls on numerous charges following an investigation stemming from a one vehicle motorcycle PIMVA that occurred on Sept 13 2018. Sheriff’s Deputies report that on Sept 13 at about 1120pm , Jones was seen eastbound on Rt 5 by Geneva Police Officers speeding with the front wheel off the ground, with a passenger on the back of the motorcycle. When Geneva Police attempted to stop Jones – he fled at a high rate of speed into Seneca County and then southbound on Rt 96A . Due to the high speed and reckless manner in which Jones was operating – the Geneva Police discontinued the chase but (on Rt 96A in the Town of Fayette , near the Neilson Road ) ,came upon the wrecked motorcycle and found Jones and his passenger ; Brittany Meacham age 26 of 9 Spring St Seneca Falls, laying on the side of the road , both seriously injured. Both were treated at the scene by North Seneca Ambulance and Meacham was taken to Strong Memorial Hospital in Rochester by Mercy Flight , while Jones was airlifted by Lifenet also to Strong. Both sustained serious injuries , with Jones having fractures in his neck, back, left arm , and ribs. Meacham sustained multiple abrasion/ road rash/ burn injuries requiring multiple skin grafts. Both were admitted to Strong for approx. two weeks and have since been discharged, but are still being treated and recovering from their numerous injuries. Deputies report Jones was charged with Aggravated Vehicular Assault (C felony) , DWI , Aggravated DWI, reckless driving and speeding. Jones was arraigned in the CAP court at the correctional facility and due to his injuries was ROR’d to appear in the Fayette Town Court at a later date.